Though more than sixty years have passed since this remarkable novel won the Pulitzer Prize, it has retained its popularity and become one of the great modern classics. “I can only write what I know, and I know nothing but China, having always lived there,” writes Pearl Buck. In The Good Earth she presents a graphic view of a China when the last emperor reigned and the vast political and social upheavals of the twentieth century were but distant rumblings for the ordinary people. This moving, classic story of the honest farmer Wang Lung and his selfless wife O-Lan is must reading for those who would fully appreciate the sweeping changes that occurred in the lives of the Chinese people during the twentieth century. The Good Earth was assigned reading for most of my friends somewhere in middle school or early high school, and I only ever heard them speak of it with dread, although that was all I heard them say about any of the books they had to read. For some reason or the other, though, I managed to avoid reading it during my grade school years. When it came time to approach this novel, though, I had some apprehensions stemming from the early negative feedback I heard about it, despite finding that I enjoyed many of the books I’d initially dismissed in grade school when I had the chance to go back and read them without the label “homework” or the pressure to finish them before I was tested over them. These initial apprehensions soon fell apart as I read the book and was caught up in the life of Wang Lung, the poor Chinese farmer. The story itself follows and old clichéd pattern: the poor protagonist, through hard work and a little bit of luck, pulls himself up out of poverty to a life of wealth and luxury. 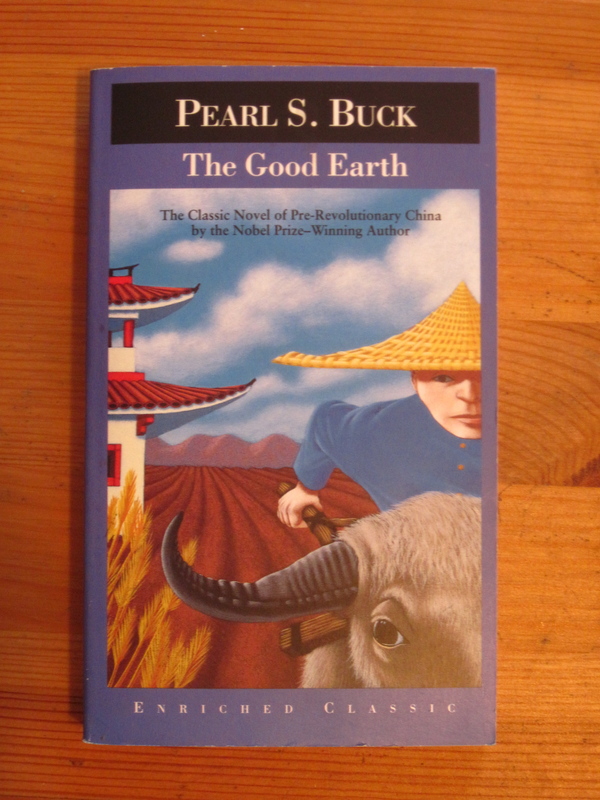 But despite the use of an otherwise overused trope in storytelling, The Good Earth is still fresh and engrossing, and provides a look at a culture that was otherwise unknown to most Americans who read this book in the early 1930s. Mrs. Barnes’ first long novel covers the better part of the life of Jane Ward, from her girlhood in Chicago in the 1890’s through a stormy and aspiring youth, her marriage with Stephen Carver, typical son of typical Bostonians, a passionate episode or two, the World War, and finally the full years of middle life and of dramatic adjustment with the new generation. The rich, humorous, poignant, dramatic narrative flows swiftly and absorbingly to a moving end. The book is full of the very stuff of life itself, and no better picture of the American social scene in the last four decades has been painted. It definitely places Mrs. Barnes with that little group of American women writers who can be depended upon always to give us keen fictional entertainment and that tingling sense of recognition which is the reader’s deepest pleasure. 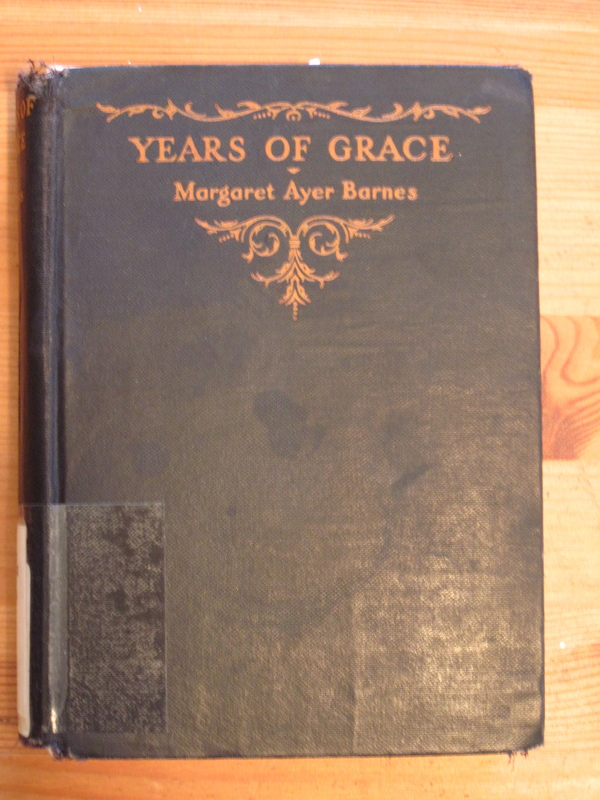 The dust jacket does a decent job of summarizing the plot of Years of Grace, as it follows Jane Ward through several decades of her life. It sees her go through school, attend a few years of college before dropping out, marrying, having children, and seeing her children grow up and begin to marry. The prose is simple, but well-written. It works in some ways to draw the reader into and through the narrative in an easy progression. The prose is never spectacular, eye-catching, complex, or searingly memorable, but it is also not clunky, distracting, or frustrating. The hardest part I had with the book was being interested in Jane Ward’s life. I struggled with the first three parts of the book. First, each of the first three parts is named after the man Jane finds herself in love with through that section of the book, and I found it frustrating that she is defined primarily by the men in her life (This doesn’t get any better in the nomenclature of the fourth and final part, named after her children). Although, from Jane’s traditional and romantic point of view, there are many ways in which she does define her life by the men in it and the loves she feels, so perhaps my frustration isn’t with the book as much as with the character of Jane Ward. I had a difficult time connecting with her through much of the book. According to Hohenberg, President Butler was “too much the realist to believe that the mere juggling of words in the Plan of the Award would solve any problems [in the public opinion of the Novel Prize].” In a letter to Fackenthal, he considers “whether, in view of the sharp criticism of the Pulitzer literary awards in recent years, particularly this year, we ought not to make some altercations in our juries.” Butler apparently did not pursue this line of thought much further, though, because the novel jury remained unchanged until 1938.